Congestive heart failure, commonly called heart failure, is a condition wherein the heart is no longer able to pump sufficient blood to all parts of the body. Congestive heart failure is often classified as systolic or diastolic. Congestive heart failure is almost always a chronic condition. However, it can sometimes develop all of a sudden. The condition could affect the right side, left side, or even both sides of the heart. Heart failure in the right side means that the right ventricle of the heart has lost its pumping function. Heart failure in the left side means that the ability of the heart to pump blood from the left side of the heart has reduced. Usually, the left side of the heart receives oxygen rich blood from the lungs and in turn pumps it to other parts of the body. Congestive heart failure is often classified as systolic or diastolic. Systolic heart failure is when the heart muscles are unable to pump or throw blood out of the heart. Diastolic heart failure is when the heart’s pumping chamber fails to fill up with blood. Both these conditions mean that the heart is no longer able to pump sufficient blood out to the rest of the body, particularly while you exercise or involve in any physical activities. Since the heart’s pumping ability is lost, the blood may back up in other parts of the body, thereby producing congestion within the lungs, liver, arms and legs or gastrointestinal tract. As a result of this, there is a lack of oxygen as well as nutrition to organs, thereby damaging them and reducing their ability to function appropriately. Possibly the most common cause for congestive heart failure is coronary artery disease. Coronary artery disease is the narrowing of the small blood vessels, which supply oxygen and blood to the heart. Heart failure can even occur when a disease or toxins weaken the heart muscle or change the structure of the heart muscles. Such conditions are known as cardiomyopathies. There are several different types of cardiomyopathies. Conditions like emphysema, hyperthyroidism, hypothyroidism and severe anemia may cause or contribute to congestive heart failure. 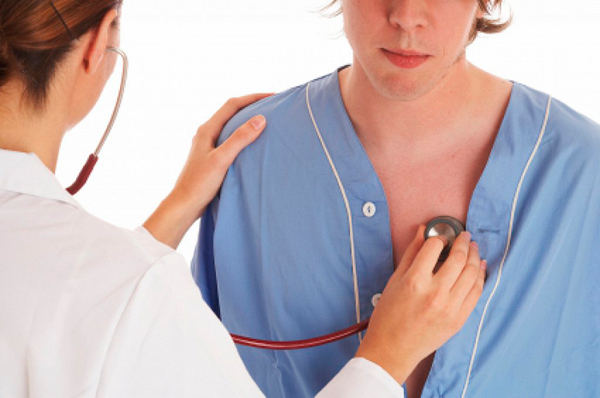 Using a stethoscope to listen to the chest may reveal lung crackles or irregular heart sounds. In case you suffer from congestive heart failure, the healthcare professional will monitor you closely. You would have follow-up appointments at least every 3 – 6 months and tests for checking your heart function. For instance, an echocardiogram (ultrasound of the heart) will be done once in a while to find out how well your heart is pumping blood with every beat. You will have to monitor yourself carefully and help in managing the condition. An important way to do this is by tracking your weight on a daily basis. Weight gain could be a sign of fluid retention and that your condition is worsening. Ensure to weigh yourself at the same time everyday and on the same weight scale, with little or no clothes on. This will give you the exact weight. Make sure to carry a list of medicines with you wherever you go. Make sure to lose weight in case you are overweight. Stay active. For instance, walk or ride a stationary cycle. The medical practitioner can provide an effective and safe exercise routine based upon the degree of heart failure and how well you are doing on tests that check the strength as well as function of your heart. Never exercise on days when your weight has gone up due to fluid retention or if you are feeling unwell. ACE inhibitors like Enalapril, Captopril, Ramipril and Lisinopril to help open up the blood vessels and reduce work load of the heart. Diuretics such as hydrochlorothiazide, Chlorothiazide, Furosemide, chlorthalidone, Bumetanide, Spironolactone and Torsemide to help get rid of the excess fluid and salt (sodium) in the body. Digitalis glycosides in order to increase the capacity of the heart muscles to contract properly, and treat some disturbed heart rhythms. Angiotensin receptor blockers, such as Candesartan and Losartan to reduce workload on the heart. This group of drugs is particularly important for patients who cannot tolerate ACE inhibitors. Beta-blockers like Metoprolol and Carvedilol, which are mainly useful for people who have a history of coronary artery disease. Valve replacement, coronary bypass surgery, and angioplasty can help some patients with heart failure. Single or dual chamber pacemaker in order to help with slow heart rate or other heart signaling problems. Biventricular pacemaker in order to help the left as well as right side of the heart contract at the same time. Implantable cardioverter defibrillator to prevent or correct irregular heart rhythms (severe arrhythmias). Intra aortic balloon pump, a temporary device that is put into the aorta. Left ventricular assist device that takes over the role of the heart and pumps blood from the heart into the aorta. Most often, it is used by patients who are waiting for their heart transplant surgery. Note: These devices are life saving, but are not a permanent solution. 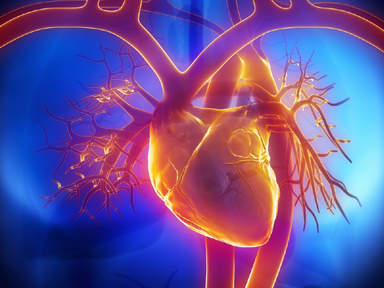 Patients who become dependent on circulatory support will require a heart transplant surgery. The symptoms of heart failure can be improved with cardiac resynchronization therapy or biventricular pacemaker. Speak to your doctor if you are a right candidate for this type of treatment. There are certain basic principles that must be followed prior to the Regenerative Tissue Therapy (cells) infusion, especially in case of frozen Regenerative Tissue Therapy (cells). To begin, the frozen Regenerative Tissue Therapy (cells) need to be thawed at 37 degrees Celsius, by constant agitation. At the time of thawing, it is important that the Regenerative Tissue Therapy (cells) are not exposed to bright light. The Regenerative Tissue Therapy (cells) then need to be collected in a syringe, which is ideally covered with a tape to avoid exposure to direct light. This is done with a wide bore needle to prevent any damage to the fragile Regenerative Tissue Therapy (cells). The infusion needs to be administered over a period of three to five minutes, in dim light, with the help of a 23 gauge needle. Check for immediate transfusion reaction. The Regenerative Tissue Therapy (cells) dosage varies on a case to case basis, ranging from 30 to 100 million Regenerative Tissue Therapy (cells) in order to generate apt results. Dose as low as 1 million may also be sufficient to produce a positive response. We advocate intravenous mode of administration in majority of the cases. However, for special cases and specific disorders we even suggest intra-arterial, intramusclular, intrathecal, intraocular, subcutaneous, sub-dural, sub-arachnoid or even direct on-site delivery of Regenerative Tissue Therapy (cells). The Regenerative Tissue Therapy (cells) are administered on the exact site of injury either through direct implantantation (injection) on-site or using special interventional techniques. The final decision on dosage as well as mode of administration of Regenerative Tissue Therapy (cells) is best taken after a through deliberation, the depending cause as well as extent of the concerned ailment. This decision must be taken on a case to case basis. Each dose of umbilical Regenerative Tissue Therapy (cells) must be preceded by GM-CSF a day prior to the Regenerative Tissue Therapy (cells) infusion. The dosage for this is 5 microgram / kg body weight in adults and 2.5 microgram / kg body weight in a child. Majority of the patients do not experience all of the listed side effects. The side effects are mostly reversible and will subside after completion of treatment. These side effects are often predictable in terms of onset and duration. There are a number of options available to help minimize or prevent these side effects. There is absolutely no relationship between the occurrence or severity of side effects and effectiveness of the medications. After the initial dose of GM-CSF, the patient might experience rapid heart rate, low blood pressure, lightheadedness or flushing. This is known as “first-dose effect,” and usually does not happen with future doses. Local reactions on the injection site, which include swelling, tenderness and redness. Mild flu-like symptoms including headache, fever, weakness, fatigue and generalized aches and pains. Swelling on hands and feet. The CD 34+ cells mentioned in the present discussion are cells that are similar to hematopoetic cells that carry the CD 34+ markers that have been obtained from the cord blood after isolation with magnetic beads or cell sorting techniques. The Mesenchymal Regenerative Tissue Therapy (cells) mentioned in the present discussion are cells which are similar to total nucleated cells procured from the cord lining, subsequent to exhaustive processing. Around 32 to 80 million MSCs (Mesenchymal Regenerative Tissue Therapy (cells)) plus 10 to 40 to million CD 34 + cells over a 1 year period. Duration: 8 to 20 million Mesenchymal Regenerative Tissue Therapy (cells) plus 2.5 to 10 million CD 34+ cells over 3 months, simultaneously with GCSF 1 day before the Regenerative Tissue Therapy (cells). An approximate total dose of Regenerative Tissue Therapy (cells) required to generate adequately favorable results is 100 to 200 million. Approximately 150 to 200 ml of bone marrow is collected in a blood bag, using aseptic precautions. This is performed in an OT, under general anesthesia. The Regenerative Tissue Therapy (cells) are then processed and isolated under the GLP and GMP standards. A final volume of 5 to 10 ml is administered intravenously inside 6 to 8 hours from collection. As the Regenerative Tissue Therapy (cells) cannot be tested for bacterial contamination, an antibiotic cover is necessary prior to infusion. Approximately 150 to 200 ml adipose tissue is collected in a blood bag through liposuction. It is collected by a surgeon in an OT, under general anesthesia. The collected Regenerative Tissue Therapy (cells) are then processed and isolated under the GLP and GMP standards. A final volume of 5 to 10 ml is administered intravenously within 6 to 8 hours from collection. Since these Regenerative Tissue Therapy (cells) cannot be tested for bacterial contamination, an antibiotic cover is required prior to the infusion. The Regenerative Tissue Therapy (cells) are collected by using a procedure known as “apheresis”. This procedure is performed in an ambient environment by using a well programmed cell separator (Hemonitics or Kobe Spectra) that provides the desired Regenerative Tissue Therapy (cells) in a specially designed blood bag. Approximately 200 to 250 ml Regenerative Tissue Therapy (cells) are derived from the blood stream. Prior infusion of GM-CSF ensures maximum mobilization of essential Regenerative Tissue Therapy (cells) from the bone marrow. The dosage for this is 5 microgram / kg body weight in adults and 2.5 microgram / kg body weight in children. Autologous Regenerative Tissue Therapy (cells) Derived from Skin, Teeth, Liver, Cornea, Small intestine, etc. Regenerative Tissue Therapy (cells) from any of these organs are derived using sophisticated techniques to isolate them. This procedure is performed in an operation theatre, under general anesthesia. The Regenerative Tissue Therapy (cells) are processed and isolated under the GLP and GMP standards. A final volume of 5 to 10 ml is then administered intravenously within six to eight hours of collection. Since it is not possible to test the Regenerative Tissue Therapy (cells) for bacterial contamination, an antibiotic cover is warranted prior to infusion. Various progenitor cell populations like mesenchymal, trophoblastic, hematopoietic and more primitive Regenerative Tissue Therapy (cells) can be isolated from the placenta and amniotic fluid. At least some of the amniotic as well as placental cells share a common origin like the inner cell mass of the morula. In fact, most progenitor cell types that can be isolated from these 2 sources share a number of characteristics. The placenta and amniotic fluid include multiple progenitor cell types from the developing embryo, including bone, fat and muscle. Following simultaneous harvesting of blood cells from the placenta blood (UPB), placenta tissue (UPT) umbilical cord (UCB) for their content of nucleated cells, the results showed that the nuclear cells (NC) from UPT and UPB have 3 to 4 times more cells than that from umbilical cord blood. In the long-term cell culture condition, the cells from UPT (Placental tissue) and UPB (Placental Blood) have more ability to survive in comparison to cells from UCB (Cord Blood). The cells stored in liquid nitrogen did not show a major loss in total nucleated cell count as well as CD34 (+) cells. It was also observed that the UPB and UPT possessed more suppressor lymphocytes, which can prove important in the prevention of graft-versus-host disease. Such implications advocate the importance of placental blood and tissue collection, and their processing along with umbilical cord blood for the transplanting of Regenerative Tissue Therapy (cells). Regenerative Tissue Therapy (cells) derived from amniotic fluid have been utilized to differentiate into bone, muscle, cartilage, adipose tissue, nerve, blood vessel, etc. These cells offer a valuable resource for organ, cell, and tissue repair. Regenerative Tissue Therapy (cells) sourced from the amniotic fluid are referred to as AFS (Amniotic Fluid Derived Stem) cells. They may be an intermediate stage between the embryonic Regenerative Tissue Therapy (cells) and adult cells. These cells are competent of extensive self-renewal, which is a defining property of Regenerative Tissue Therapy (cells). They can even be used to generate a vast range of cells that could prove valuable for therapy. Amniotic Fluid Derived Regenerative Tissue Therapy (cells) can be obtained from large supplies of amniotic fluid, by using the many procedures that examine cells for the prenatal diagnosis of certain genetic disorders. This procedure is known as amniocentesis. Even childbirth is considered a source of amniotic fluid. The possibility for a perfect match is also likely due to its primitive nature. They can be easily obtained through amniocentesis. Since they double every 36 hours, they can be grown in large amounts to produce large quantities of Regenerative Tissue Therapy (cells). The specialized cells generated from AFS cells contain all three types of cells, which exist in the developing mesoderm, embryo – ectoderm and endoderm. Consequently, these Regenerative Tissue Therapy (cells) can differentiate into any organ, cell or tissue in the body. There is no need for ‘Feeders’ or ‘Factors’ to guide them to towards the desired cell line. They don’t cause tumors and therefore are preferred over embryonic Regenerative Tissue Therapy (cells). Similar to embryonic Regenerative Tissue Therapy (cells), Amniotic Fluid Derived Regenerative Tissue Therapy (cells) have the potential of generating all types of adult cells. The project director also recommends the use of Regenerative Tissue Therapy (cells) derived from the placenta, amniotic sac and/or amniotic fluid. These Regenerative Tissue Therapy (cells) are carefully processed, isolated as well as cultured in a clean room, using GLP and GMP standards. They can be utilized for allogenic or autologous use, similar to Regenerative Tissue Therapy (cells) that have been isolated from the cord blood and cord tissue. At times, this is done concurrently with hyperbaric oxygen and/or Chelation therapy, after prior administration of GM- CSF. The selection of Regenerative Tissue Therapy (cells), the dose, source, mode of administration and accompanying concurrent therapy can vary on a case to case basis. Congestive cardiac failure is a serious disorder. It is a chronic disease, which can become worse with infections or other physical stress. 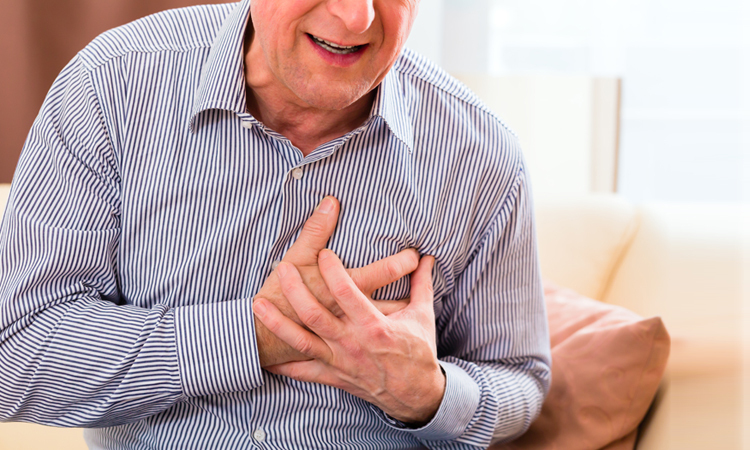 Several forms of heart failure can be controlled with the help of lifestyle changes, medication as well as treatment of the underlying disorder. Call your healthcare professional if you develop unexplained symptoms such as increased cough or production of sputum, weakness, swelling, or sudden weight gain. Contact the local emergency service or dial 911 if you experience fainting spells, severe chest pain or rapid and irregular heartbeat (especially if other symptoms accompany a rapid or irregular heartbeat). Follow the healthcare professional’s treatment recommendations and make sure to take your medication as directed. Ensure to keep your heart rate, blood pressure and cholesterol level under control, as recommended by the doctor. This can involve exercise, special diet and medication. Exercise as advised by your medical practitioner provider.